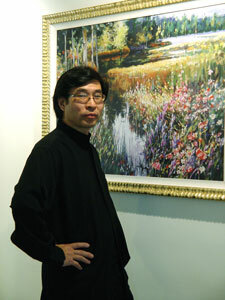 Min is the president and owner of the Torrance Branch of the US Arts Education Center that is headquartered in Temple City, California. Children's classes include children from kindergarten up to high school. Adult's classes are for advanced children and adults of all ages. Please stop by for a free trial class and call for rates and specifics. Private lessons are available by request. The list continues to grow year after year. The efforts of students at US Arts Center have paid off in high school and Min expects them to continue paying off for many years to come. As students become young professionals, the alumni of Us Arts Center will also become alumni of outstanding universities. Please contact Min at min@minlifinearts.com or by phone at (310 245-6753 for further information on what it takes to prepare a portfolio for college admissions to a career in the fine arts.